On the Middleton Beach waterfront in Albany, ambiance is the name of the game at Hybla Tavern. With music two nights a week (and the baby grand available for visiting musicians on other nights) in the comfortable Eurythmic Room, Hybla really does offer food and relaxation. Behind the scenes at Hybla Tavern, they believe very strongly in “paddock to plate” ideology to make sure your meal is as healthy, environmentally sound and ethically raised as possible. They have a TV screen for live events and have takeaway liquor. Opening hours are 11 am til late 7 days, but currently for winter we are opening from 4pm Monday to Wednesday. Dining is an event at Hybla. Whether you arrive during normal service at breakfast, lunch or dinner; or wish to get a share plate at almost any time throughout the opening hours, your taste buds will be pleased with the offerings. The wine list is extravagant, showcasing the amazing variety of beverages produced in Australia. Although some European offerings can also be found, the vast majority are modern Australian. The list of soft drinks is impressive too. If you have a larger event to cater (up to 40 guests), Hybla also offers a two or three course set menu to help you feed almost anyone. 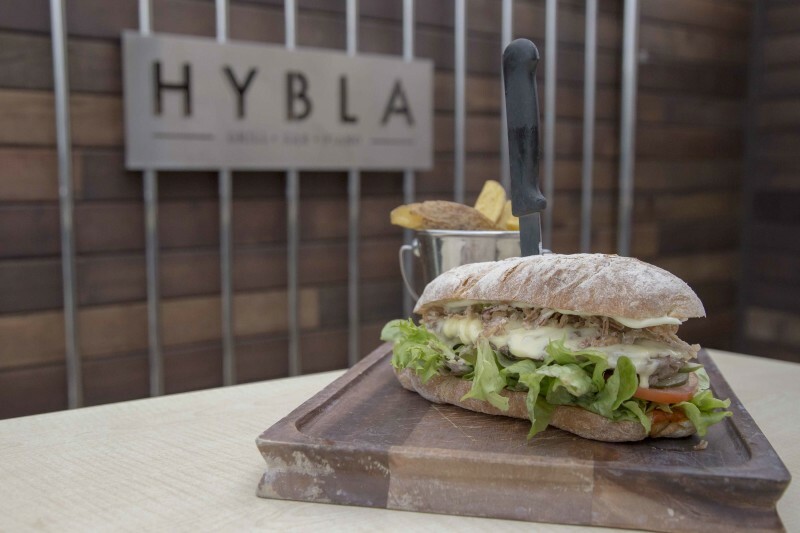 Hybla Bar and Grill is a delightful, extravagant, but down-to-earth venue where old-fashioned values still count. The wine list focuses on the Great Southern region of south west WA. Ambiance and relaxed dining really do go hand in hand on the Middleton Beach waterfront.